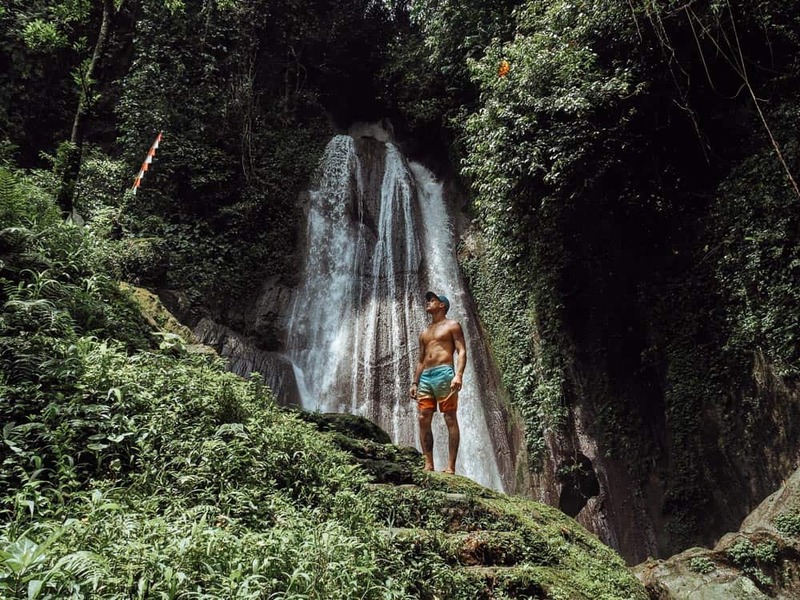 The Dusun Kuning Waterfall, also known as Yellow Waterfall, is a unique set of falls that I have recently discovered in Bali and it is definitely up there in the top 10 must-see waterfalls in Bali. 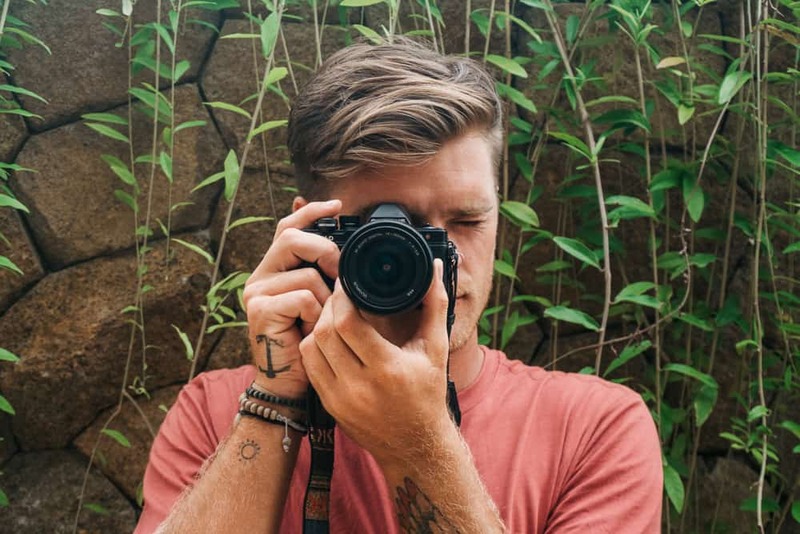 Here is a complete guide of how to get there and what to expect. 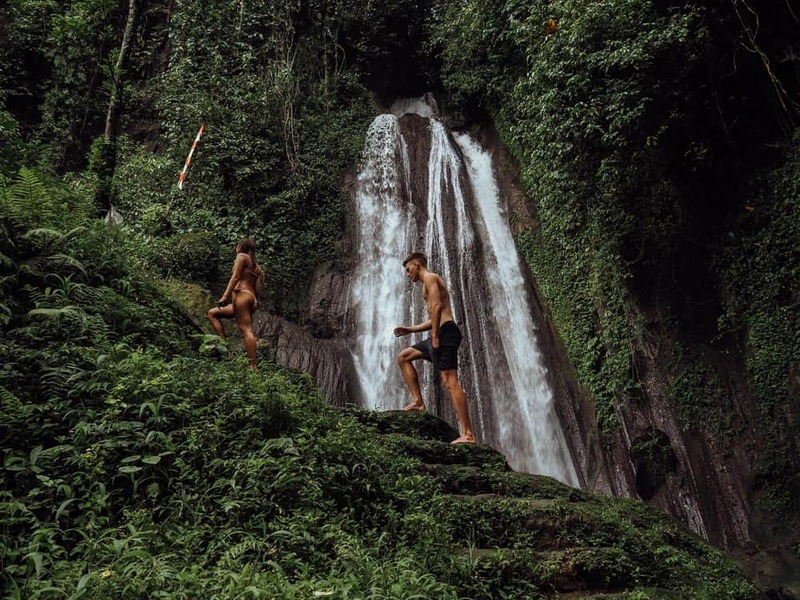 The Dusun Kuning Waterfall is located in the east-central region of Bali close by to Gianyar. 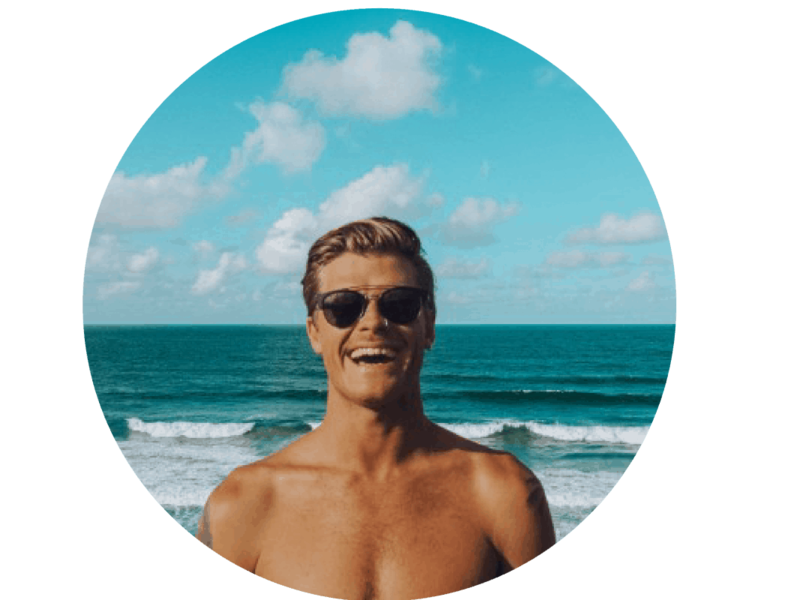 From Ubud, it is approximately a 45-minute drive to Dusun Kuning Waterfall and from Canggu or Kuta it is approximately 1.5 hours drive. As you leave the main road and drive through a small village you will see several signs like this one above, pointing you in the right direction. 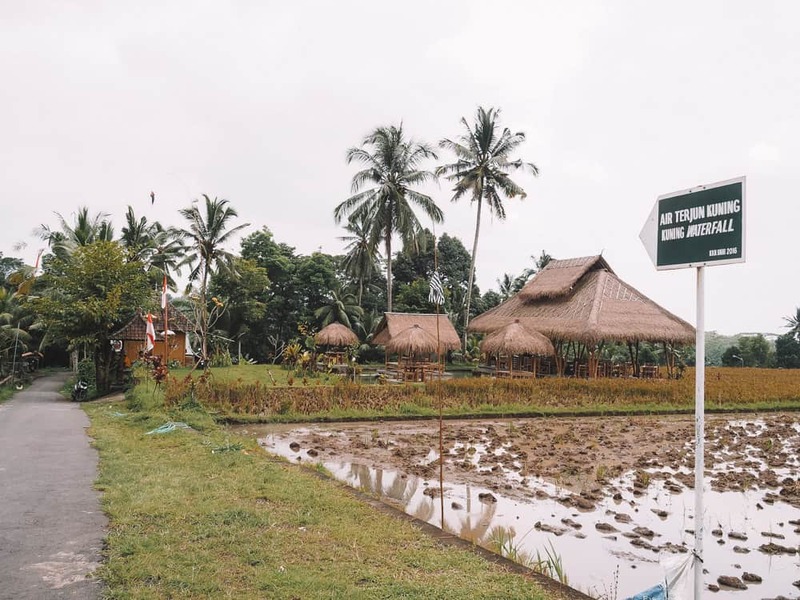 There is a small ticket office opposite this large bamboo hut where you will have to stop and pay an entrance fee of 20,000 Rupiah to gain access to the waterfall. 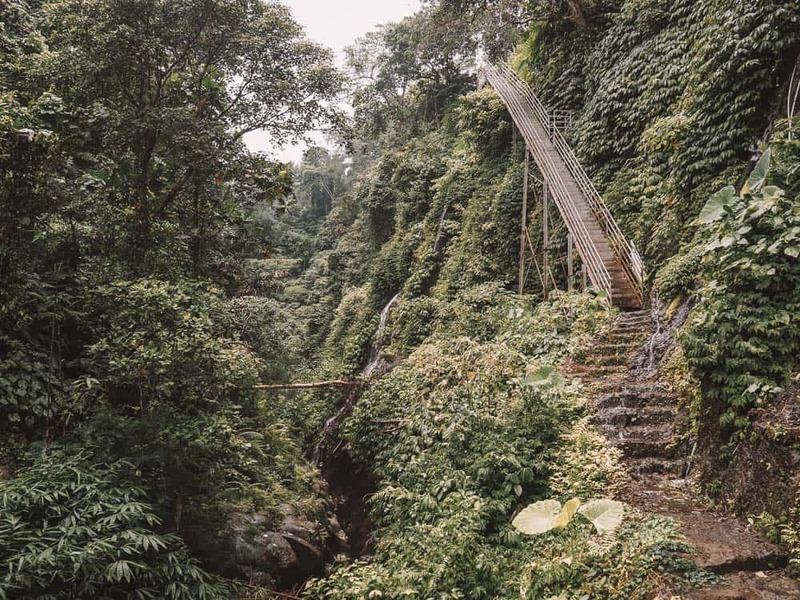 You then follow the road around the bend to the right for another 400m to where you will see a temple on your left-hand side and next to the temple there are concrete steps which will lead you down to Dusun Kuning Waterfall. The stairs down can be quite slippery so please take care and don’t rush. It was slightly raining on the day that we visited these falls so we took our time to make our way down to the bottom. 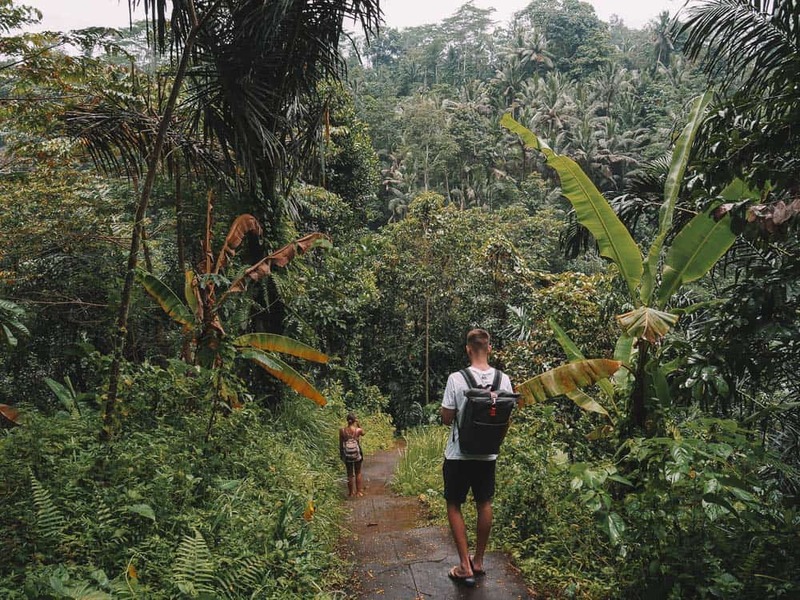 The hike all the way down to Dusun Kuning takes only 15 minutes and it is suitable for all levels of hikers. The dense jungle felt like it came to life after the rainfall and it enhanced all the colours of the flora that surrounded us. On the hike down you will pass quite a number of smaller waterfalls bursting out from the rock walls that line the track. Also, if you look down to your right-hand side as you come down the big set of steel stairs you can see the river flowing through a small canyon with cascading water into natural rock pools. Unfortunately, there is no way down to this section but it is an awesome view from above and it would be perfect for a drone. We got lucky with the weather, and the sun decided to show itself for the hour or so that we spent down at the falls. There was not one other soul in sight and so we had the entire place to ourselves! I was in awe, to say the least when I feasted my eyes on this tranquil waterfall. 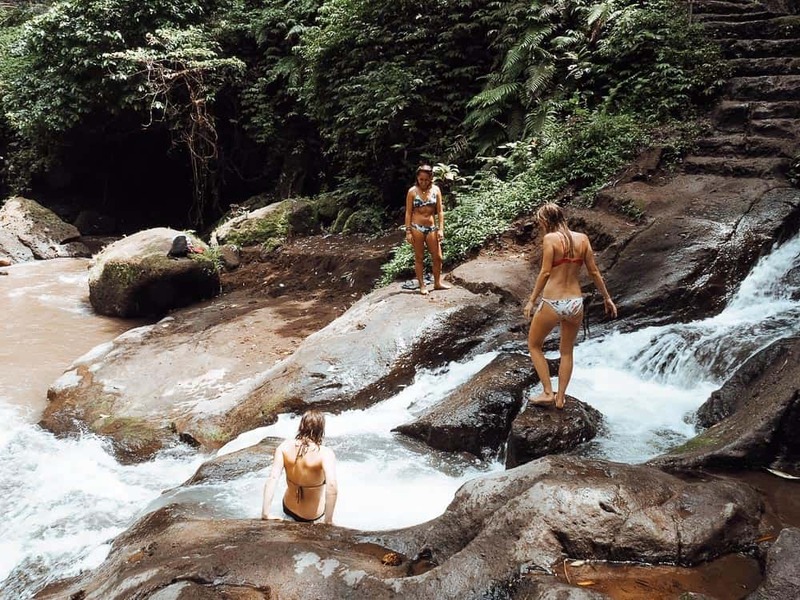 Dusun Kuning is 25 metres high and the water flows effortlessly down the slate rock face and pools below. 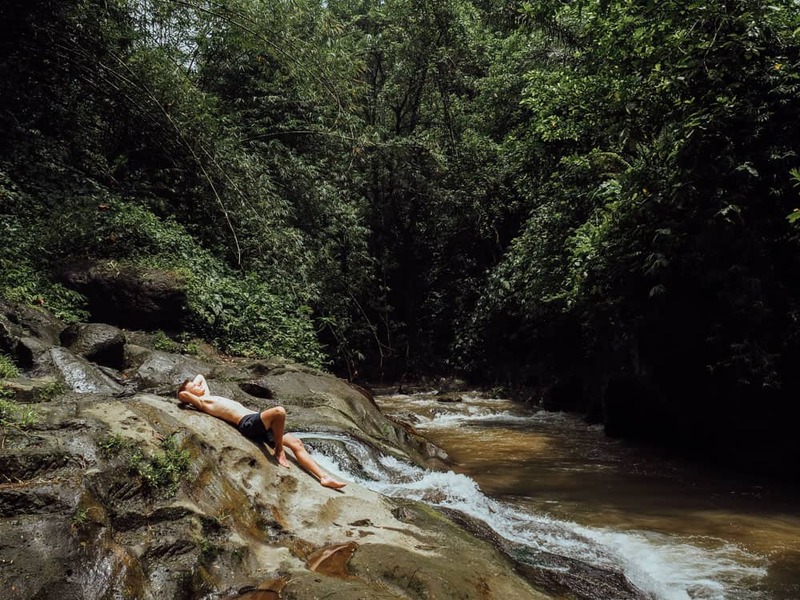 Tropical, green plantations surround the falls and the serene ambience is next level. It didn’t take me long before I was swimming in the rock pool beneath the falls, making for a great shower after the drive and hike to get here. Dusun Kuning Waterfall is so photogenic, it would be hard to take a bad photo here. The best time to get some good shots of the falls is between 1-2pm when the sunlight finds its way through the above canopy and lights up the rock face. The water from the rock pool overflows and it meets the river that cuts through the valley. Be careful if you are swimming in the river as the current can be quite strong and you don’t want to get sucked down into the canyon. Be prepared and make sure to pack some food and water if you plan to spend a few hours at this waterfall as there are no shops in the village. 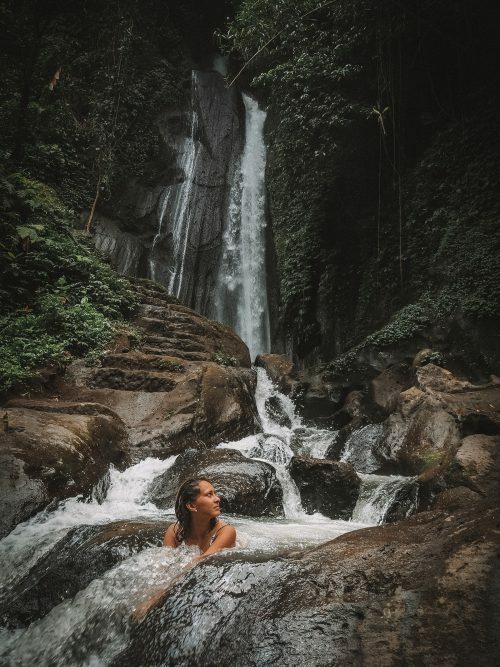 Dusun Kuning Waterfall is one of Bali’s natural heritage sites and it is preserved by the local people from the nearby village. When visiting places like this, please respect the earth by taking only photos and leaving only footprints. Do your little bit and take any rubbish you may have with you and help preserve these natural wonders so everyone can enjoy. 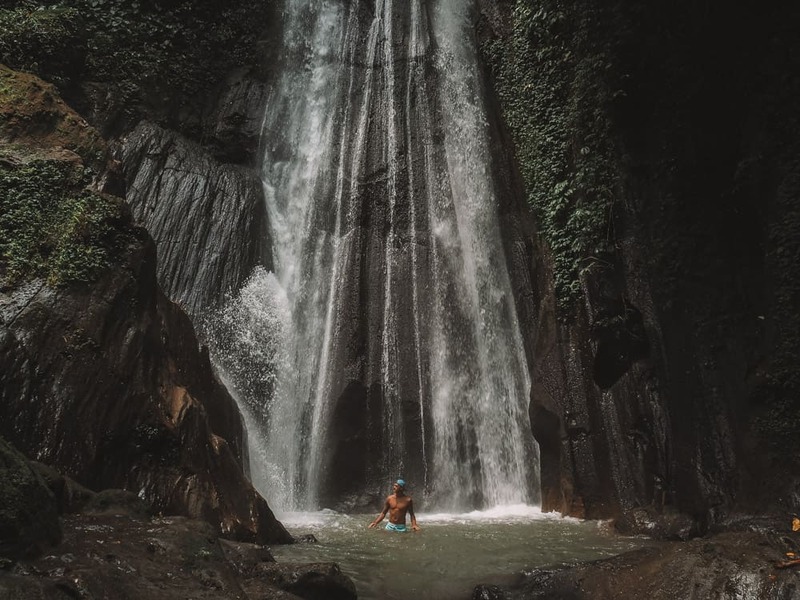 I hope you enjoyed reading this article and if you have any questions about Dusun Kuning Waterfall please drop me a comment below!